Modular building technology offers unlimited possibilities to optimally coordinate energy requirements and costs. 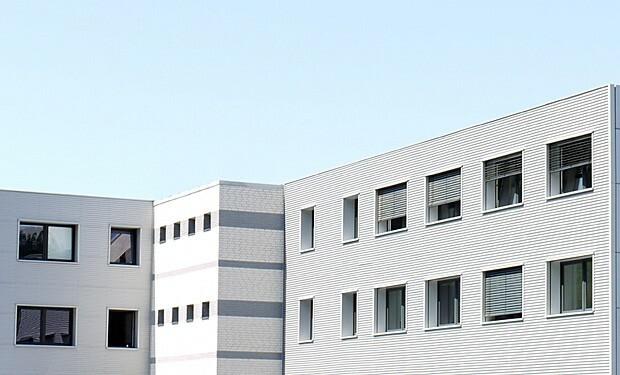 No matter if passive house or low energy standard, system solutions with maximum planning reliability are the specialties of SÄBU modular construction. All materials necessary for the production of a building are effectively and optimally used in our factories. A complete customer-optimised building consists of serial construction systems with precise process flows for minimising material and energy disposal and for implementing the customer’s requirements. No matter if steel, glass, stone or wood, facade systems are the showcases referencing your office building and your office building is your calling card. The combination of glass and steel stands for transparency and modern ambience, wood stands for warmth. The green covering of a roof symbolises life. For your company we adjust building shape, facades, noise insulation and fire protection according to your individual needs and the legal requirements. Attractive office and administration buildings can be erected at acceptable costs. With modular buildings you can implement almost all building shapes, no matter if quadratic, rectangular, symmetric or dissymmetric.